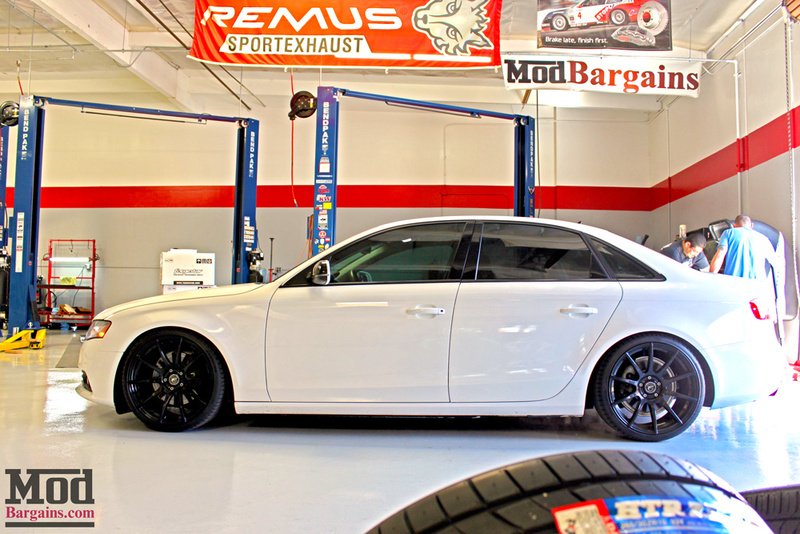 A few weeks back this B8 Audi A4 Quattro 2.0T rolled into the shop, already looking good on a set of Forgestar CF10 Wheels for Audi, but with such awesome wheels and stock ride height – all that wheelgap leaves a lot to be desired. 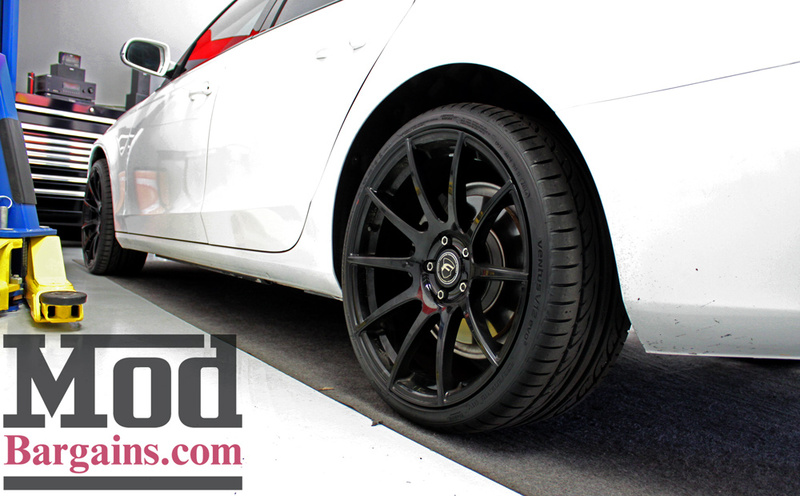 This customer had already picked out his suspension for how he planned to get low- a little help from Sr. Mod Expert Alan Wei to get the installation coordinated here at our shop, Mod Auto, here in La Habra. 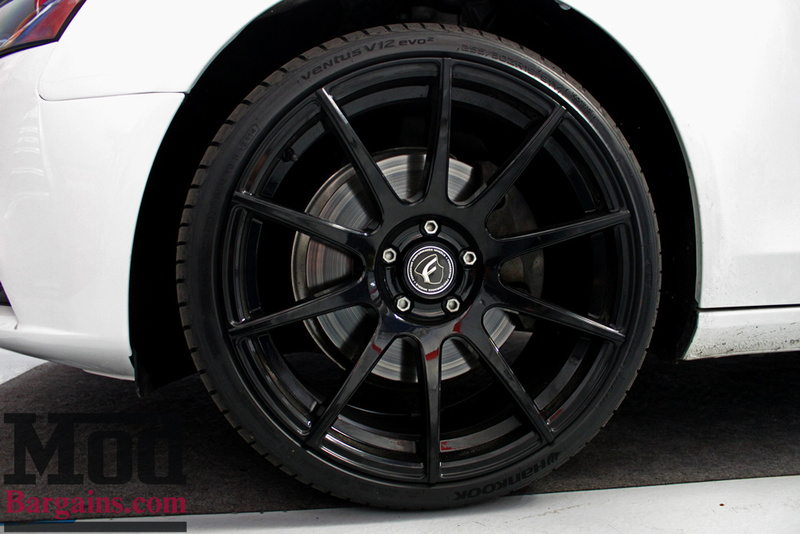 These Forgestar CF10 Wheels are a 19×9 in Gloss Black, Squared fitment running 255/30-19 in Hankook Ventus V12 Evo II Tires. This picture’s before we even lifted the car. 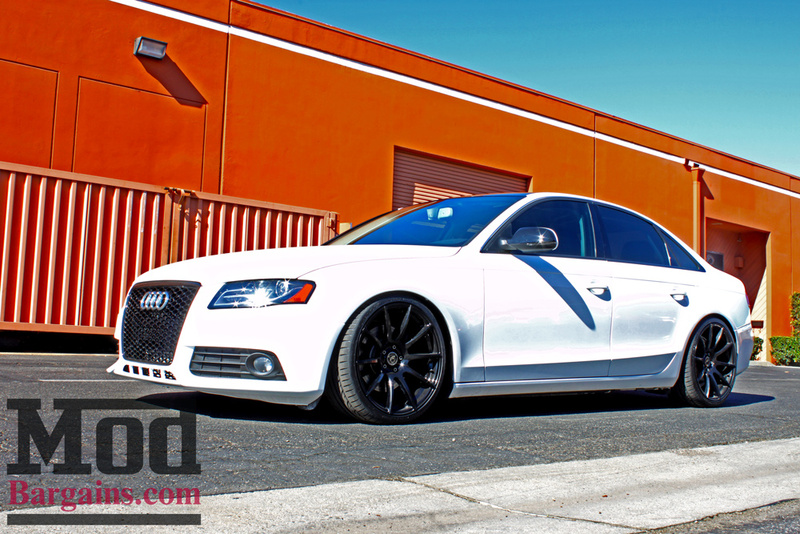 The OEM B8 A4 Suspension has so much wheelgap, it’s about ready to go rallying with the ur-Quattro. Fortunately, we don’t have to see it this way much longer. 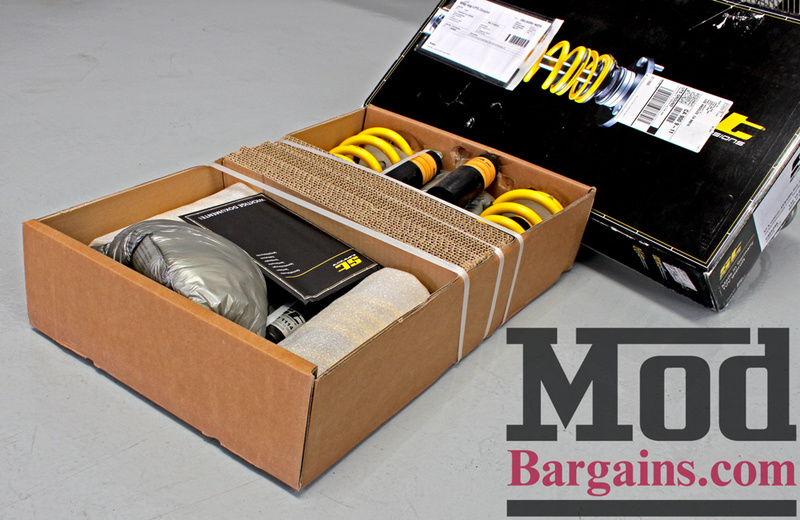 When you unbox your ST Suspension Coilovers, they’re packed just like this – you’ll see a little envelope with the directions, user manual and your stickers inside, as well as your warranty card – so be careful not to toss those! 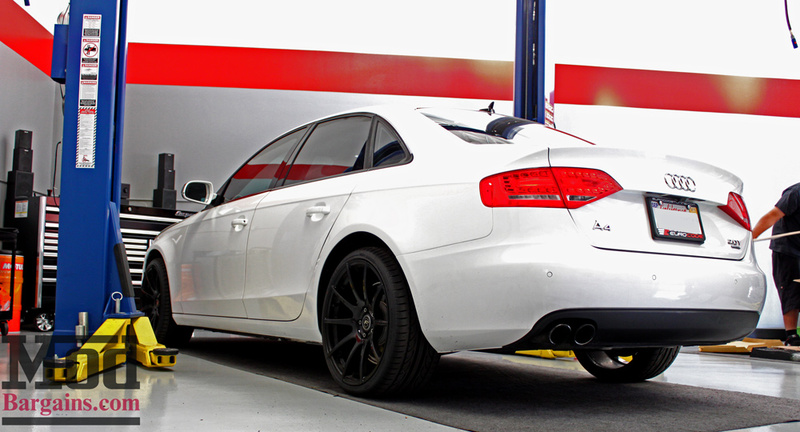 The owner of this A4 chose a set of ST Suspensions XT Coilovers for B8 Audi A4, which feature fixed damping and adjustable ride height. 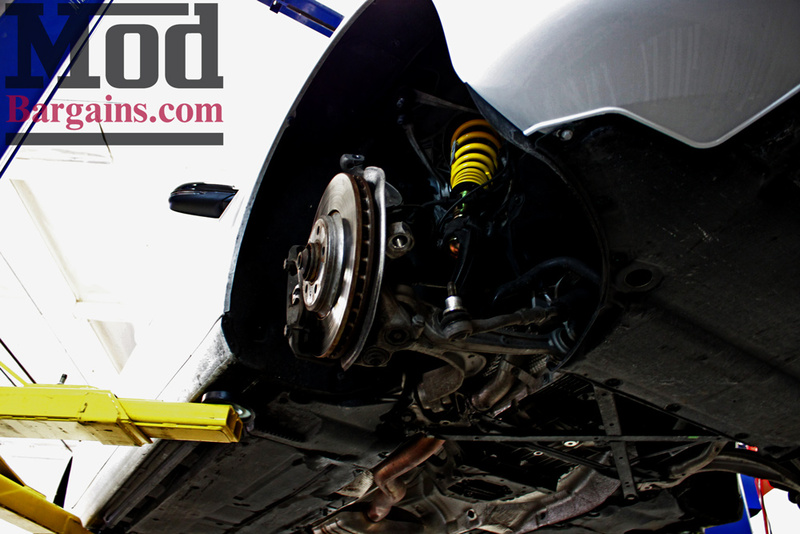 We’re big fans of ST Suspensions products here, as several employee cars ride on them. 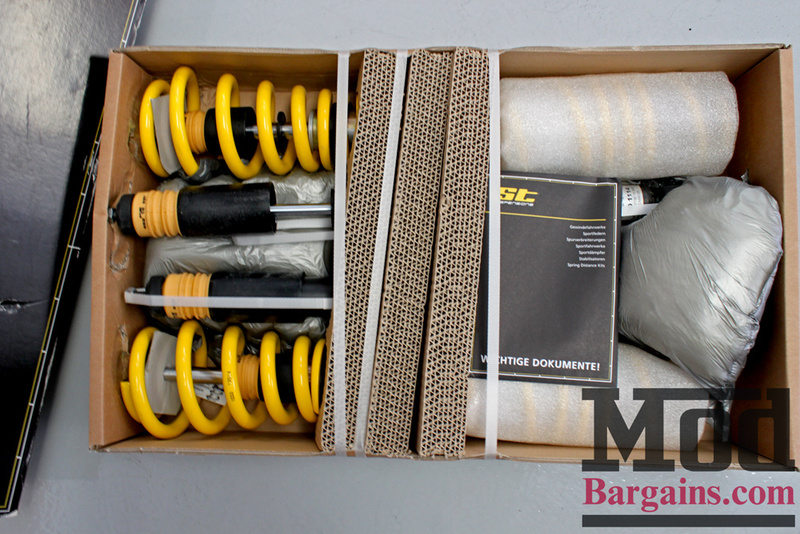 Given how many sets of coilovers we install, any week of the year, our experienced techs made quick work of installing the ST’s. 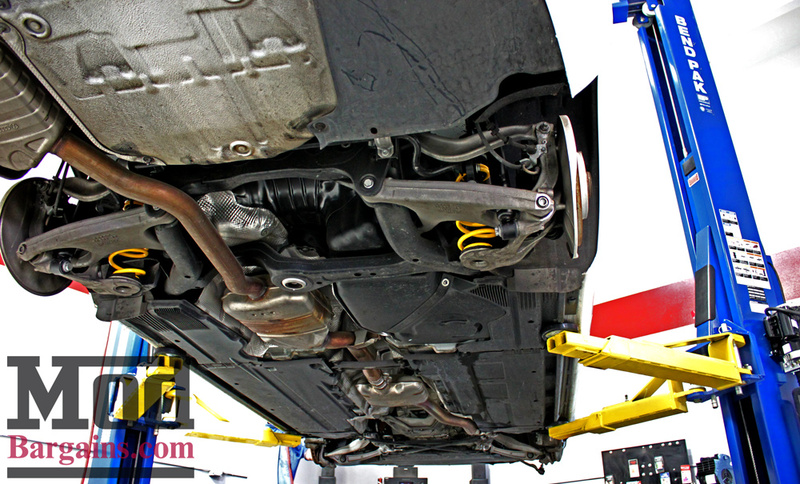 Of course, once the wheels are back on, the coilovers are all but impossible to see, so we had to snap a few shots before the guys had everything put back together so you can see how it all fits together. After getting the coilovers installed, we pulled this snow white beauty into the sun for a few glamour shots to show off the new stance. The wheelgap is almost entirely gone yet the car isn’t so slammed that it’s tucking the wheels – this is a great ‘happy medium’, offering the super-low look that’s so popular these days without taking away from the class and style the Teutonic sedan brought with it across the Atlantic. 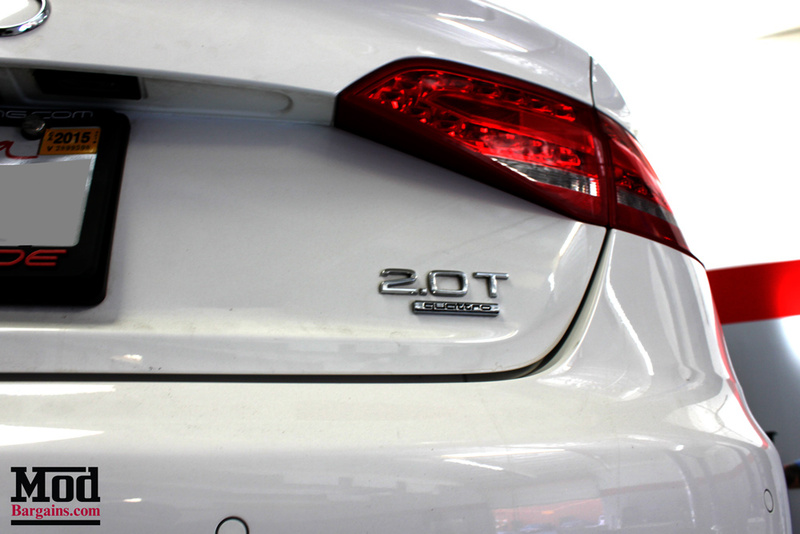 We’re really impressed with how clean the end result looks. Want to get your car low? 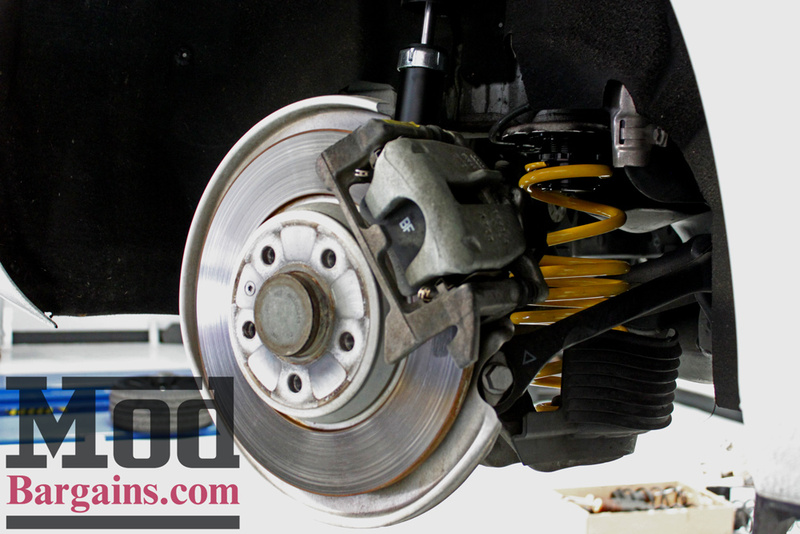 We invite you to take advantage of Modification Expert Alan Wei‘s expertise for your own build, just give him a call at 714-582-3330 x8006 or email [email protected] – or can chat live with any of our Modification Experts at ModBargains.com. Not sure where to start? 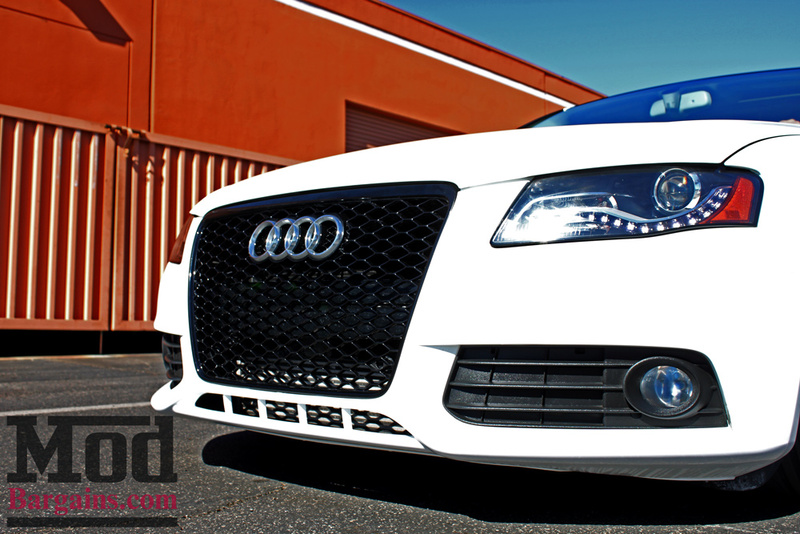 Check out our guide to the best mods for the B8 Audi A4 here.